I was busy making and selling Google Cardboards this weeks, but Iris has new features. Another thing is that the default Windows ClearType fonts are really bad for our eyes. So I started to play with the Font engine of Windows. There are 3 different type fonts now, which you can try. I like and use the Simple fonts. They are a little ugly, but are better for the eyes. I will continue to research how to make the fonts better for the eyes. For example Iris is free 4 hours per day. And you will get 4 hours every day. 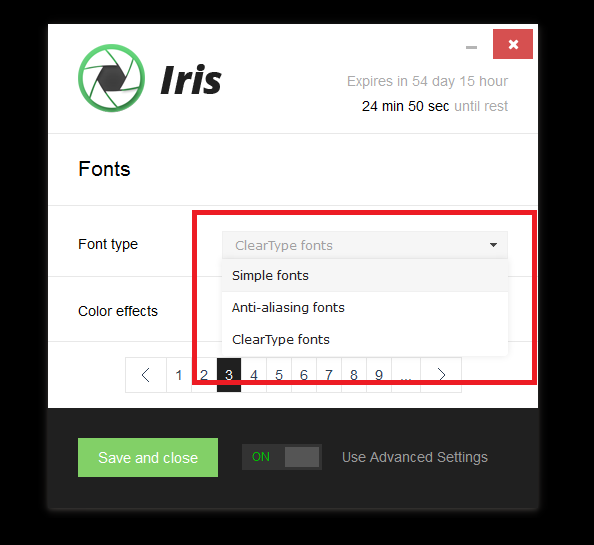 If you buy Iris you will get 1 month, but this month will expire only when you use Iris. That means that you can use Iris several months or even a year for 10$. Several people complained about the price tag, but this is intentional. I don’t want everybody to use Iris. Iris is for cool people. I am making it with all my heart and if you use it I will make it the perfect program for you. I will never remove them. 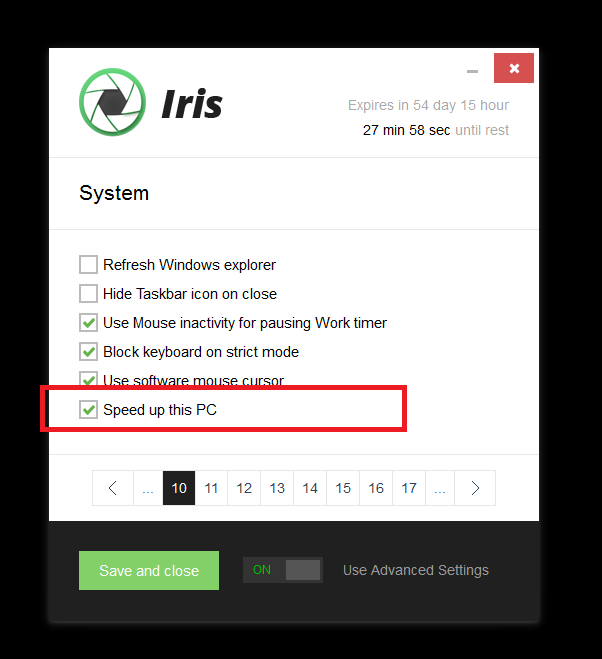 Feel free to use Iris, feel free to hack Iris, feel free to pay for Iris. And feel free to contact me for everything. I am a human being and will help you for everything.